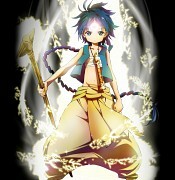 Tagged under Shinobu Ohtaka, A-1 Pictures, Aladdin (Fairytale), Series. story wise: i love this story setting & plot to death! the 1st season is "okay"..the animation wasn´t the best & didn´t like how they changed the ending to an original the way the did.. but they really made a comeback on the 2nd season! IT IS AWESOME!!! 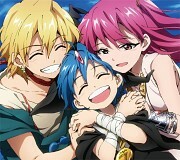 such good animation & voice active & they are fallowing the manga *A* HAPPINESS ALL OVER THE PLACE!! IF YOU HAVEN'T WATCHED THIS GO NOW YOU WILL NOT REGRET IT!!!!! 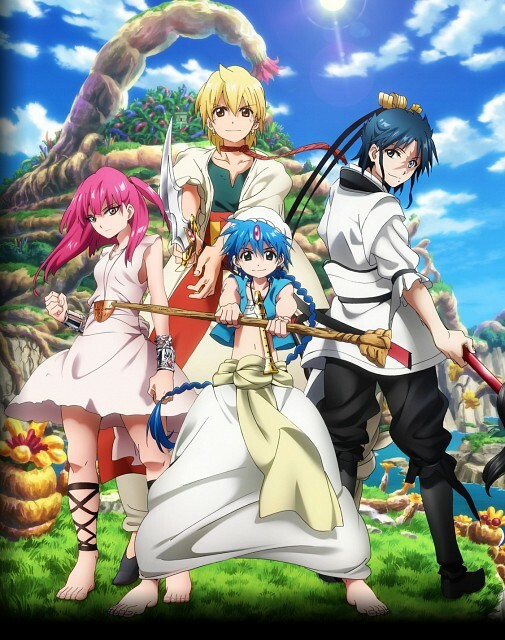 No feedback on MAGI: The Labyrinth of Magic.